The Slush pre-party will be starting early – at 40,000ft (12km)! This year, Slush team is launching something they like to call the world’s first Skydive Pitching Competition. 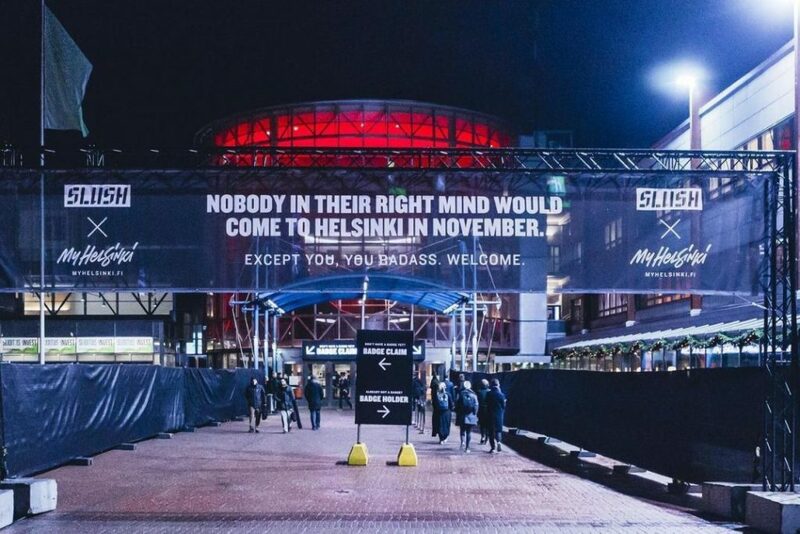 This year, Slush celebrates its 10th anniversary, thanks to the partnership with Victor, Idean and Salesforce, there is a possibility to fly Slush attendees from San Francisco to Helsinki and back between November 28 and December 2. Passengers include Mark Pincus, Founder of Zynga, Caterina Fake, Co-founder of Flickr & Hunch, Will Marshall, Co-founder and CEO of Planet Labs, and Hemant Taneja, Managing Director at General Catalyst, to name a few! How to join the non-stop charter connection between San Francisco and Helsinki? There are two all-inclusive packages for your Slush trip: one for the Grazy, and one for the truly Finsane ones. These offers have one clear goal in mind: making sure you have a hell of an experience with the most relevant people for you. Find more information about these four days of frenzy here or contact our flight captain directly at flight@slush.org.